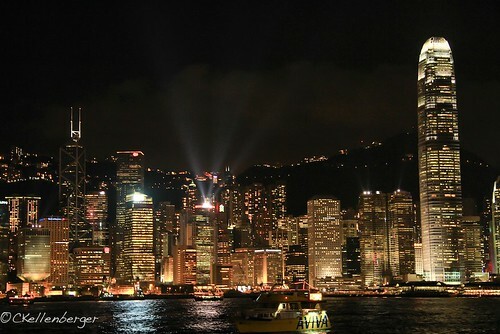 The Hong Kong skyline at night is probably one of the most recognized skylines in the world. It’s certainly one of my favorites. We’ve made it a tradition to go and see the free Symphony of Lights Show every time we visit. Symphony of Lights is a synchronized decorative light show and laser multimedia display set to music. 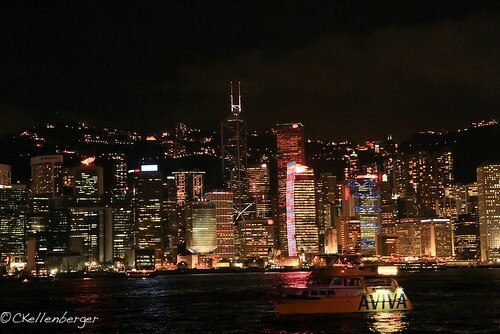 It’s featured on the exterior of the buildings of Hong Kong’s Victoria Harbor. 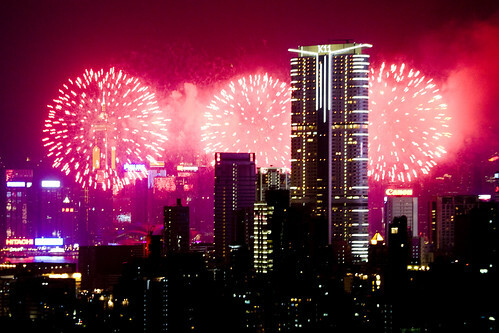 44 buildings on both sides of Victoria Harbor participate in the show, which starts at 8pm every night. Guinness World Records has named the show as the world’s largest permanent light and sound show. The 10 minute light show has attracted over 4 million viewers so far. It’s well worth the visit, and did I mention it’s free? There’s a really cool interactive map of all the lit-up buildings that participate in the show. I’ve been to Hong Kong on many occasions, but I just decided during my last visit there that I wanted to make it a goal of mine to personally photograph each of the tallest buildings on Hong Kong Island. I haven’t made it to all of them yet. 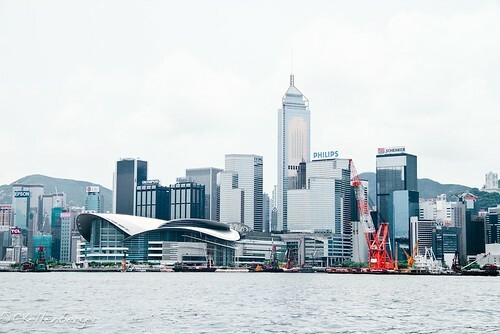 This shot was taken on the ferry going over to Hong Kong Island. The Hong Kong Convention and Exhibition Center is on the left. Its distinctive rooftop makes it easy to spot. The Exhibition Center is one of two major convention and exhibition venues in Hong Kong. The other one is AsiaWorld-Expo. You can spot the Philips building easily on the left of the Exhibition Center. The tall building next to the Philips Building is Central Plaza. 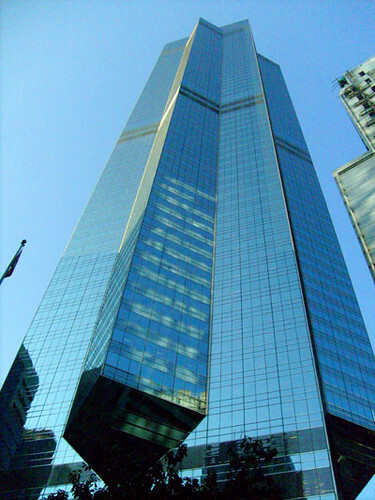 The 374m skyscraper was completed in 1995. It’s the third tallest tower in the City after 2 IFC in Central and the ICC in West Kowloon. 1. International Commerce Center (ICC) towers over all the buildings on this skyline at a whopping 484 meters. 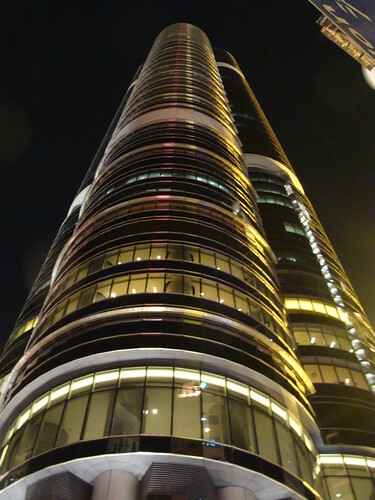 It was opened in 2010, and it’s the 6th tallest building in the world. It’s also the 3rd tallest structure in the People’s Republic of China. 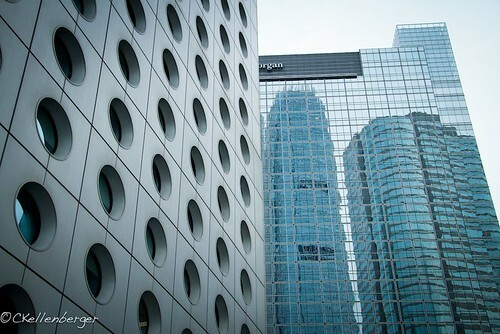 The center is a hotel and office building. 2. 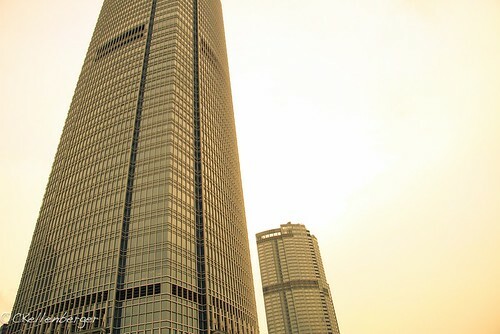 Two International Finance Center (2 IFC) is an office building that stands 416 meters tall. 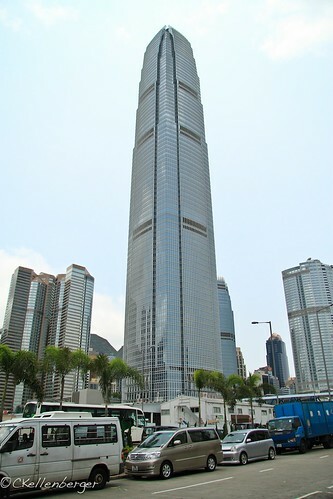 It was the tallest building in Hong Kong from 2003 to 2010. I was pretty intrigued by this building, so we made sure we went by it again at sunset. 3. Central Plaza stands prettily at 374 meters. This office building was completed in 1992. Central Plaza is also home to one of the highest churches in the world. Scroll up to the first daytime photo I posted at the beginning of this article to see what Central Plaza looks like. 4. Bank of China Tower’s eye-caching exterior is pretty by night or day. It’s 367 meters tall. It opened in 1990 and it’s used as an office building. It was the first building outside of the United States to rise taller than 305 meters in height. 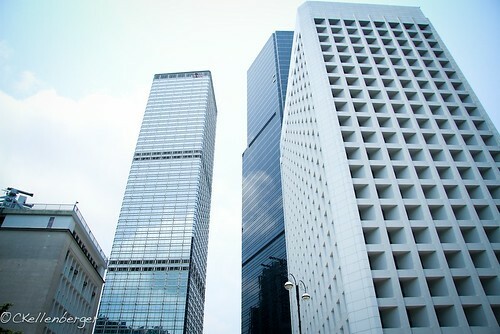 In this photo, the Bank of China Tower is the tall building on the left, and the Cheung Kong Center stands to the right. The General Post Office building is in the forefront on the right. 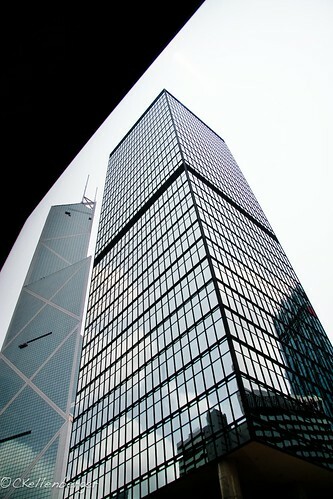 The Bank of China Tower is probably one of the most recognizable buildings on the Hong Kong skyline. It’s also one of my favorites. The light work on this building during the Symphony of Light show is really attractive. You’ll be able to spot it right away. 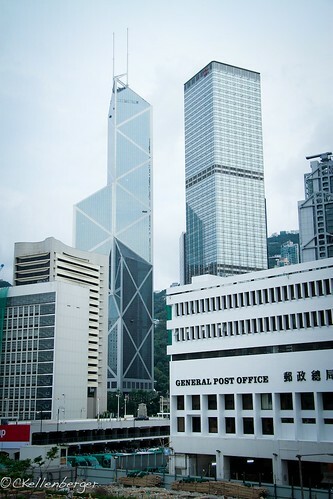 Here is another view of the Bank of China Tower standing next to the Cheung Kong Center. 5. The Center is a 346m office building that was completed in 1998. 6. Nina Towers is a hotel and office building that opened in 2007. It stands 319 meters tall. 7. 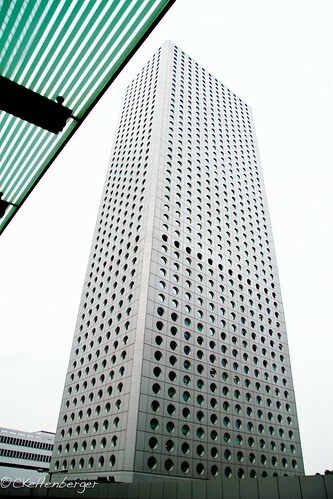 The One Island East office building stands at 298m office. It was opened in 2008. 8. 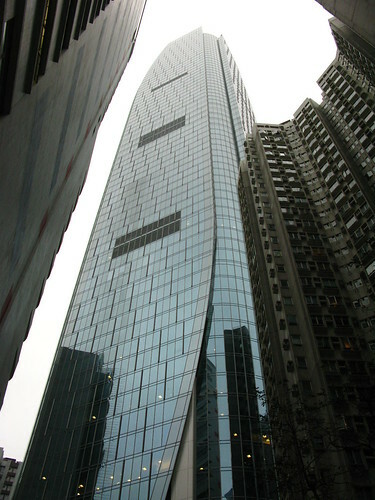 The Cheung Kong Center was opened in 1999. At that time, it was the third tallest building in the city. 9. The Cullinan is composed of twin towers. The North Tower is a residential tower that stands 270m tall and the South Tower is a residential tower and hotel. 10. The Masterpiece is a 261m hotel and residentential building. 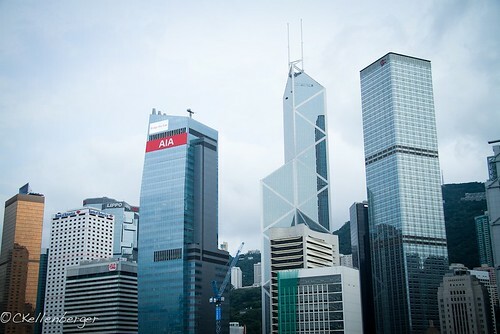 It’s definitely a distinctive looking building on the Hong Kong skyline! 11. 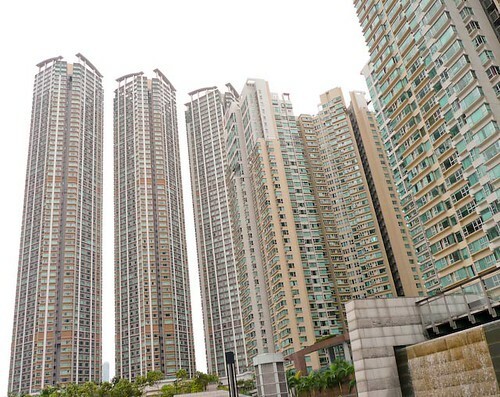 Sorrento 1 is the tallest completed all-residential building in Hong Kong. It reminds me of our building complex in Taiwan. We live in the Taipei Sky Domes, which sit at number 21 for tallest buildings in Taiwan. 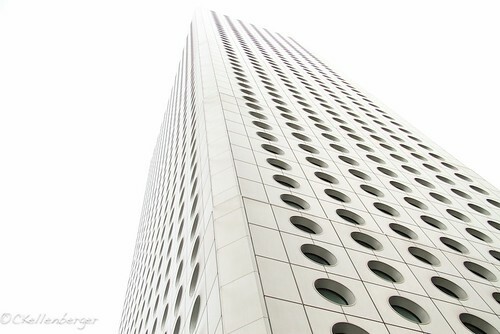 Jardine House is one of my favorite buildings on Hong Kong Island. It’s known for its distinctive white exterior and round windows. 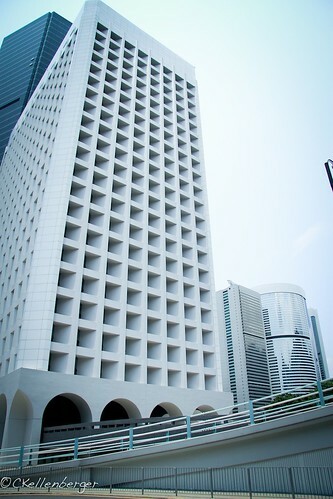 Formerly known as Connaught Centre, Jardine House is an office tower in Hong Kong located at 1 Connaught Place, Central on the Hong Kong Island. 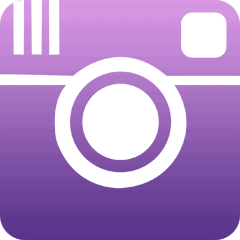 It is owned by Hongkong Land Limited, a subsidiary of Jardines. The building may not be in the top 15 tallest skyscrapers on Hong Kong Island, but it’s no slouch at 178m in height. Finally, I need a little help from you, dear Readers. Does anyone know the name of this building? I snapped it while I was on the bus. And what’s the building below it? 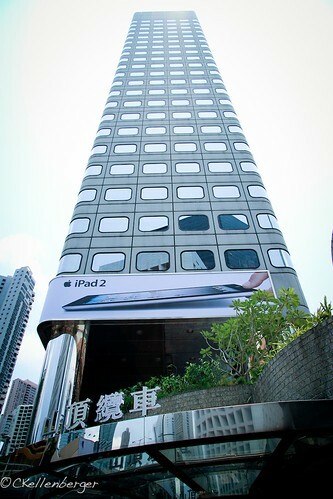 I tried searching for Apple tower in Hong Kong Island, but nothing came up in my search. 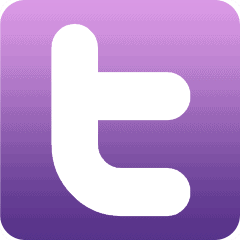 A very informative blog shared by you. Hong Kong is a wonderful city. It is very popular city because of its beautiful skyline tallest buildings. 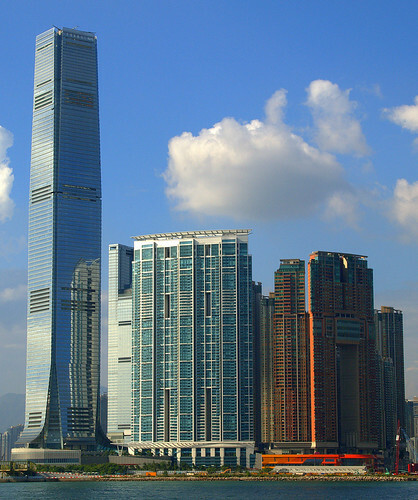 If you are on Hong Kong tour, you must visit tallest buildings in Hong Kong.